Save up to 18% Off List ! 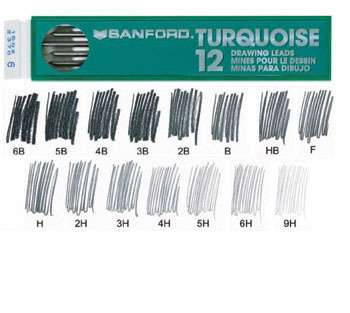 If you're going to be technical about it you may as well invest in a high quality drawing lead. Choose from a wide range of lead hardness from 6B (softest) to 9H (hardest). And keep it all together with The Premier Turquoise Lead Holder. The plastic barrel and textured metal grip are almost as cool as the push-button spring action. Save up to 18 %Off List !